It’s that time of year again where pumpkin spiced lattes, wool sweaters, and the leaves changing colors is what makes fall…fall! Now traditionally speaking, fall is not the most popular time to purchase a home, which is why now would be an excellent time to become a homeowner and obtain a Hamilton mortgage. Buying now means you will most likely receive low competitive rates as opposed to purchasing in the peak season, which could make your monthly mortgage payments more affordable. But before you start browsing the local listings, it is important to be familiar with the current residential market trends. So, to help you get started, your local Hamilton mortgage brokers with Canadian Mortgage Authority, have listed the most current market update in the local area. Over the past month, the average sold price for residential houses in Hamilton was $548,000. This is a 0.6% increase from the previous month and a 2.7% decrease in the quarterly price. Over the past year, the average sold price also increased by 1.3%. With this overall increase in price over the past year, now would be an excellent time to obtain a Hamilton mortgage before the rates continue to increase. According to Zolo.ca, the Hamilton housing statistics show that over the past month, there have been 1,109 new listings and 234 units sold. A home also spends an average of 34 days listed on the market before it is sold and the selling to listing price ratio is 97%. The median price for singled detached houses, townhomes and condominiums have all been fluctuating in price over the past year. In September 2017, the median price for a singled detached family home was $493,500 and increased 10.4% by September 2018 to $545,000. For townhomes, the median price listed was $471,000 and decreased 4.04% to $452,000 by 2018. The median price for condominiums increased 26.7% from the 2017 price of $280,250 to $355,000. These statistics suggest that purchasing a townhome right now would be the best choice due to the recent decline in the median price. 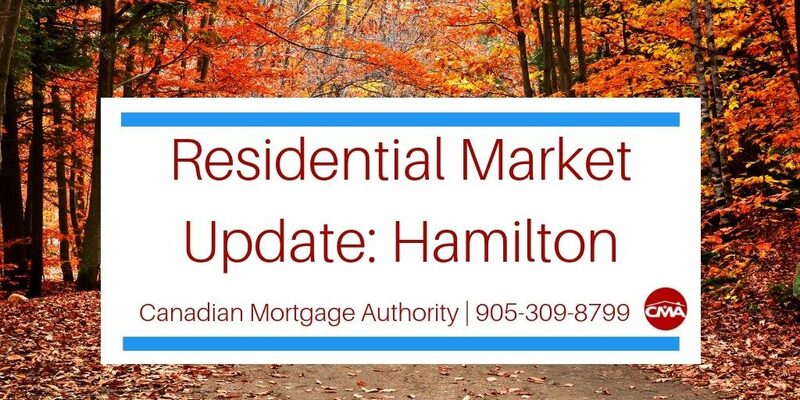 For more information on the local residential market update or to begin mortgage application today, please contact your mortgage broker in Hamilton, the Canadian Mortgage Authority at 905-309-8799.